Basically, people choose tattoos for different reasons. 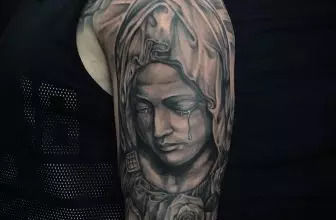 Any time you see a person with a tattoo, there is always a reason for applying such tattoos. 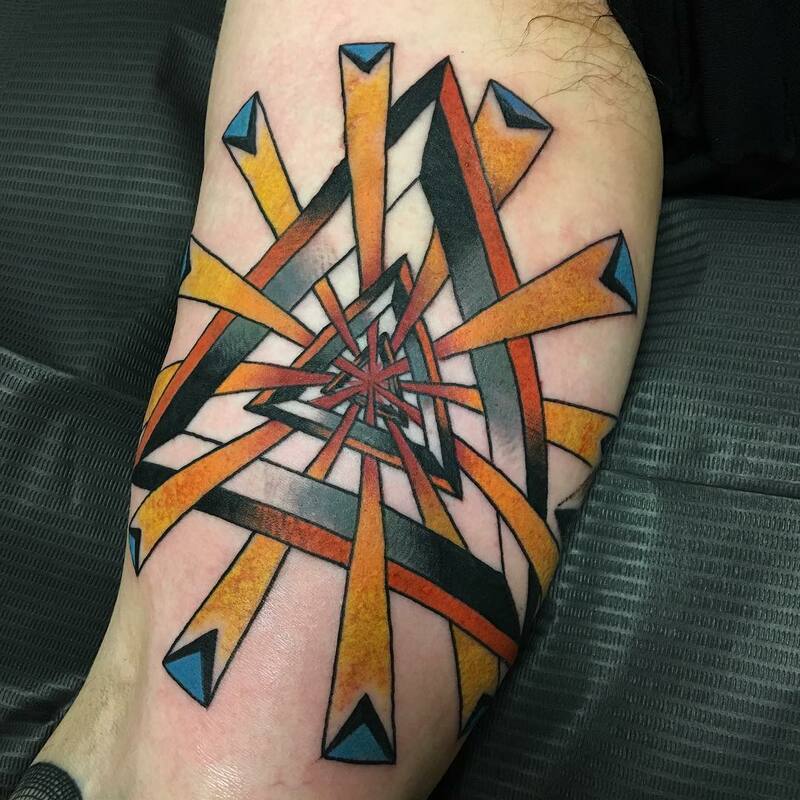 Some have a unique design and the geometric tattoos are among them. These tattoos are commonly applied by many, but you might not exactly notice them. 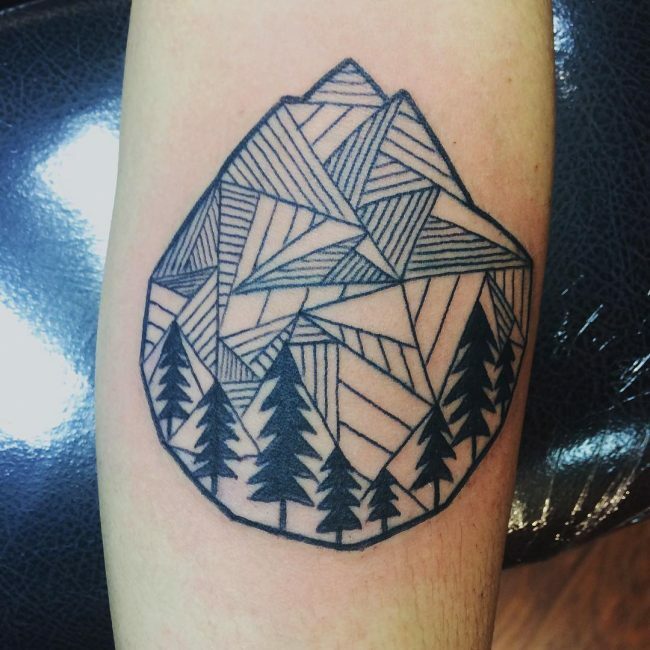 A geometric tattoo is one that has some shapes and patterns, which might be complex or basic. 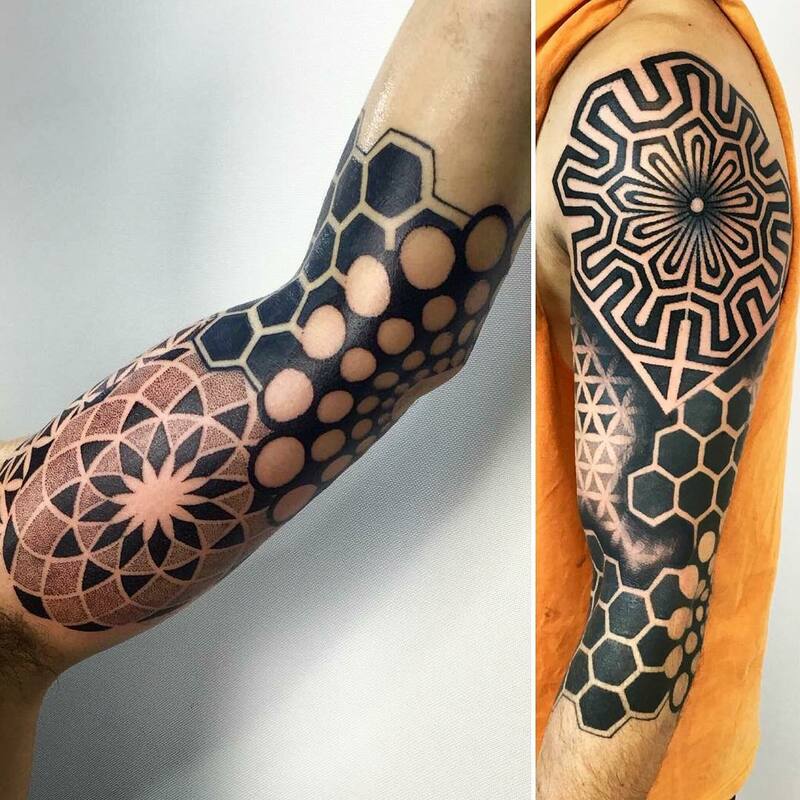 The tattoos of geometry originate from the ancient communities. The first people to apply these tattoos lived more than 2000 years BC. In the Ancient western islands of the Micronesia, the first inhabitants applied these tattoos. They were first applied as dots and were used to show that the person moved to a different stage in life. In this community, the tattoos were used to show that the person reached an age of maturity. Some were only worn by married men on their shoulders. In Egypt, where there are a lot of geometric symbols, the tattoos were used to symbolize a sacred meaning. The pyramids and other symbols were used to connect the people to the spiritual world. 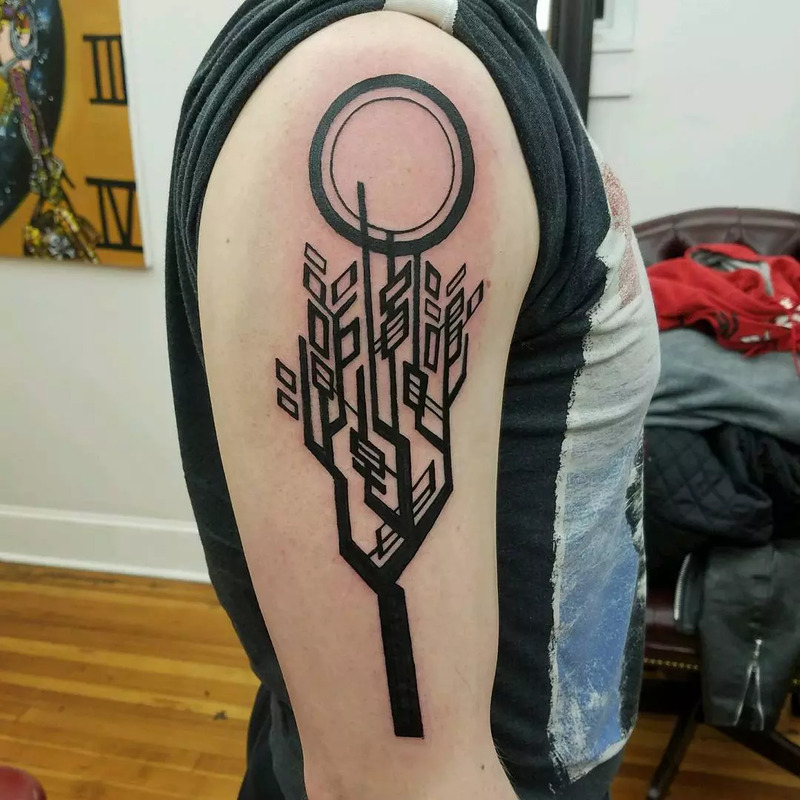 The type of symbol used represented the meaning of that tattoo. Some cultures also used it as a way of achieving a holistic healing therapy. These were applied on specific areas. 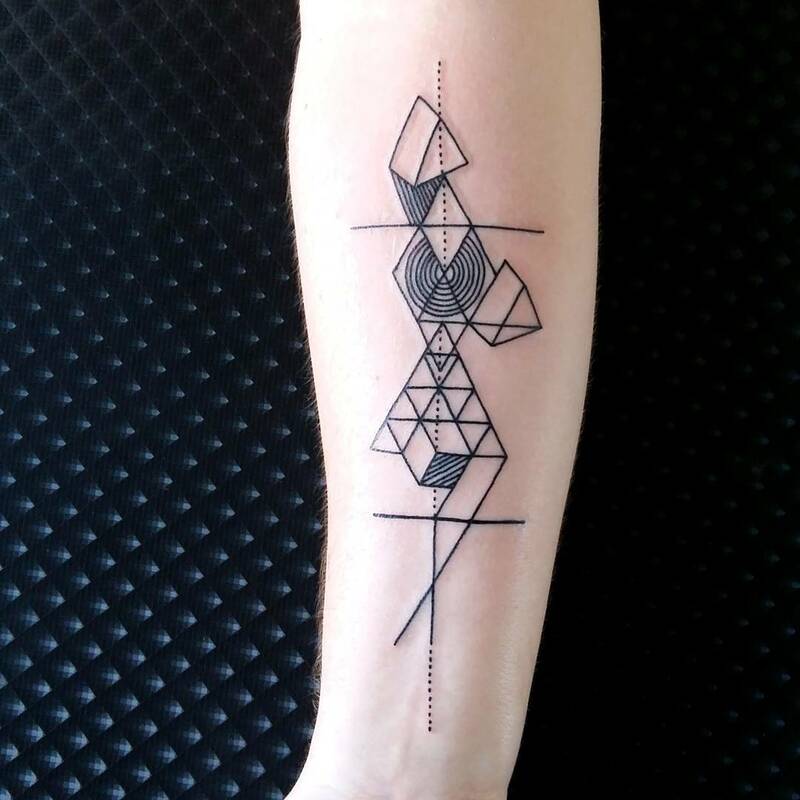 In most cases, the geometric and dotwork tattoos go together to give a combined meaning. 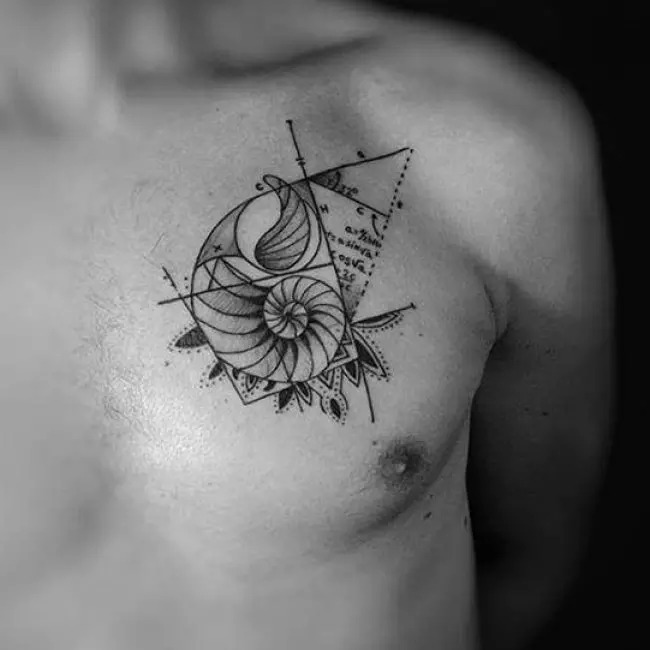 In most cases, the tattoos of geometry are performed with the use of the dotwork technique. For instance, they will take the symbols of animals and other occult symbols. 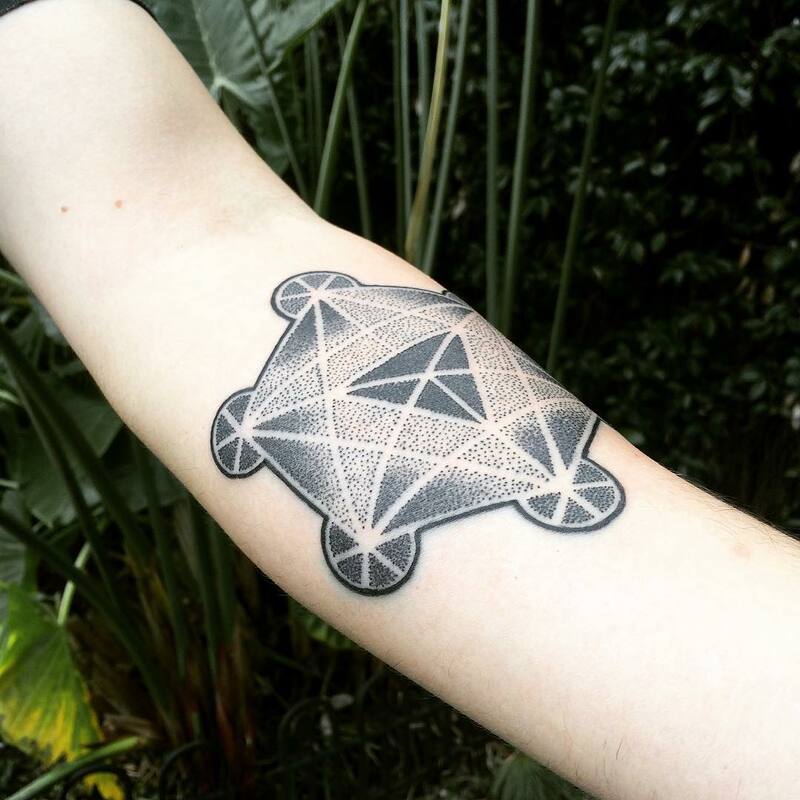 In most cases, the occult symbols are the most commonly used tattoos of geometry. Mostly, these tattoos are used to offer a spiritual significance. A lot of people will apply the tattoos for its meaning, more than its design. There are different geometrical shapes that are linked to specific aspects of the nature of life. For that reason, each shape and geometric symbol must be understood, before one applies the tattoo. There is the cube symbol, which is mostly connected to the earth while the tetrahedron will represent fire. The octahedron will represent air whereas the icosahedron will symbolize water or vitality. The dodecahedron will symbolize the spirit or free will. These tattoos are also believed to have some magical abilities. 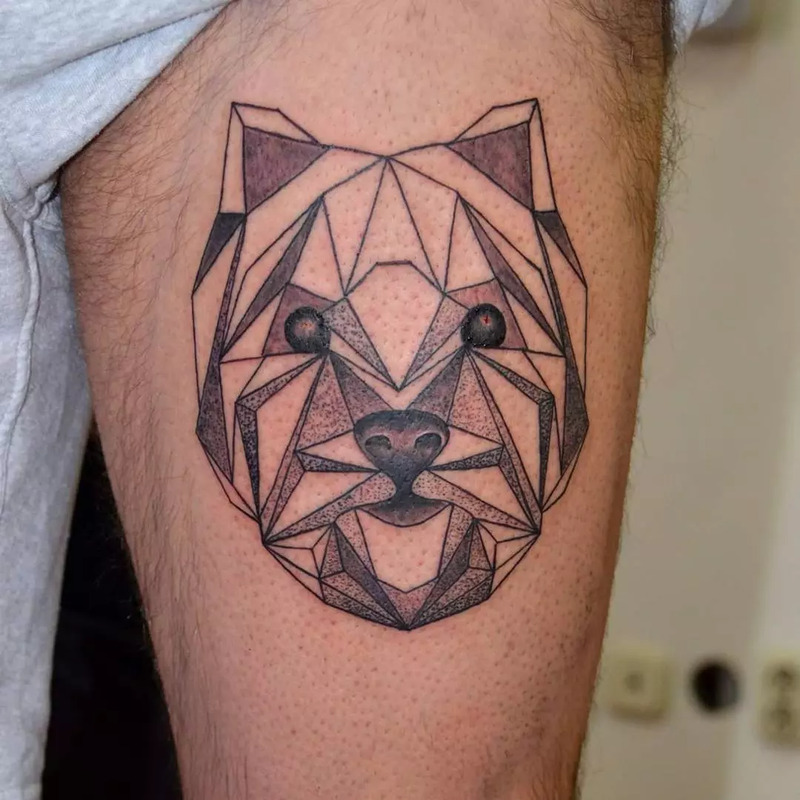 There are some people, who have applied the tattoos of the geometrical shapes and symbols due to their natural elegance. All in all, it is highly recommended to understand the meaning of the tattoo that you are applying before you can apply it. If you intend to apply it on an open part of the body, you will need to clearly understand what it means. You might apply it for its aesthetic nature, but someone else might get a different message. Basically, ensure you understand the patterns, especially if they are occult symbols. Some are believed to connect a person to the spiritual world, which will need a clear comprehension of those symbols and their meaning. 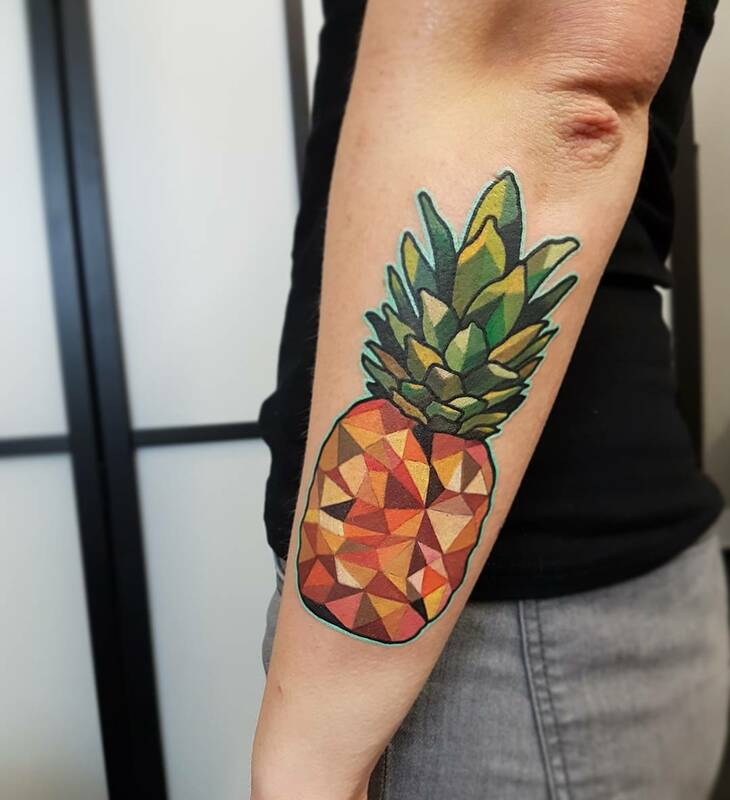 With these tattoos, they are overly different from the common types of tattoos. Since they have a deep connection to the spiritual life of the person applying it, they will be applied in specific areas. They applied by both women and men one unique thing about them is that they have an elegant design. They will also be drawn in different design and size. Depending on the size, pattern or style of the tattoo, you will need to think about where you want to apply the tattoo. 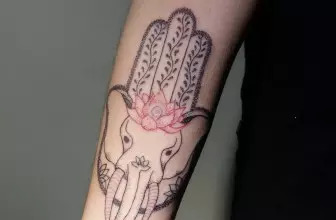 The smaller designs will be applied on the palm, the fingers, ankle, wrist, behind the neck and behind the ear. For the larger tattoos, they will be drawn to areas with a bigger skin surface, like the thigh, sleeves, chest, shoulder, back and the side. 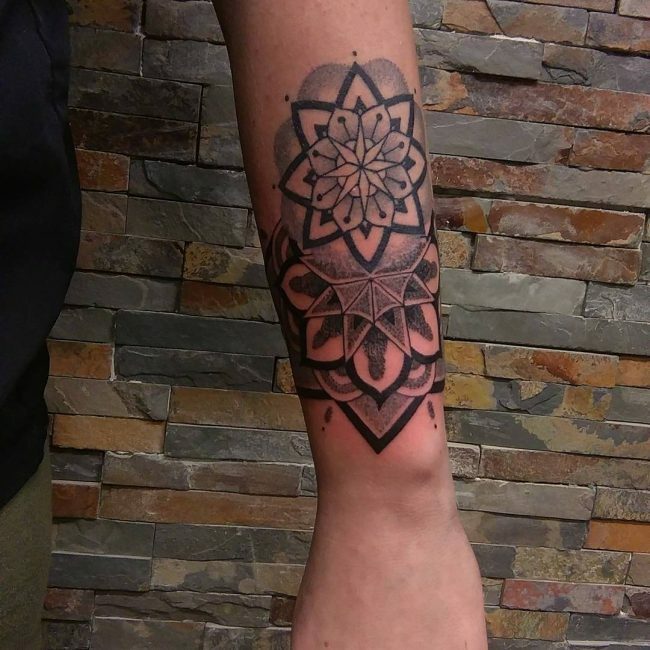 There are different types of tattoos of the geometrical symbols and shapes. They will range in terms of the size, style and the patterns of that symbol. The main aim of the human existence is to have harmony and balance in life. These tattoos are meant to promote balance and harmony in the life of a person by linking them to the spiritual life. The tattoos help to keep the basic elements of life in perfect harmony and balance. Through this, the bearer of the tattoo will be able to have a calmer and happier life. 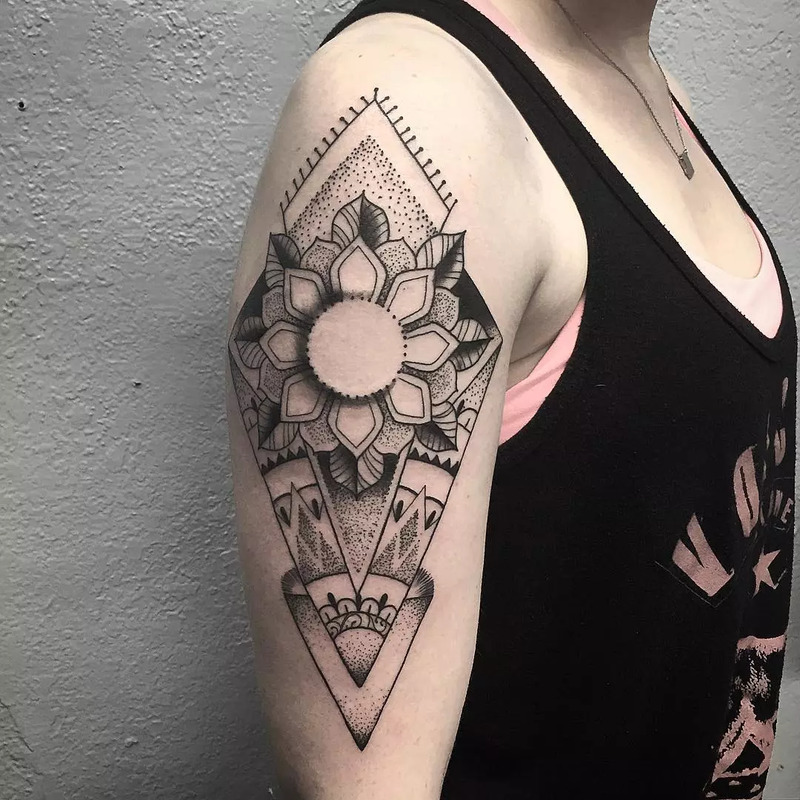 There are a lot of design and patterns of the tattoos of geometrical symbols, but here is a look at the most common types of the tattoos. These are very vital symbols of religion in Hinduism. They are used to symbolize the universe. These designs have surpassed the line between culture and religion and they are among the most populous. Many people are applying the tattoo, even the non-Hindus. They have an elegant design and a default meaning that can apply to anyone’s life. These ones are almost similar to the mandalas, but they tend to have a special meaning. They are also very common in the current world. They were used in the Greek tradition to symbolize a serpent or a dragon that destroys its own tail. For that, it is a tattoo that is used to symbolize self-reflexibility in the circle of death and life. This tattoo may also appear as a double one, whereby, two serpents will be drawn when joined on the opposite ends of each other. This one will be used to symbolize volatility. The Ouroboros tattoo will be compared to the energies of the Ying and yang, which are opposite but complementary. 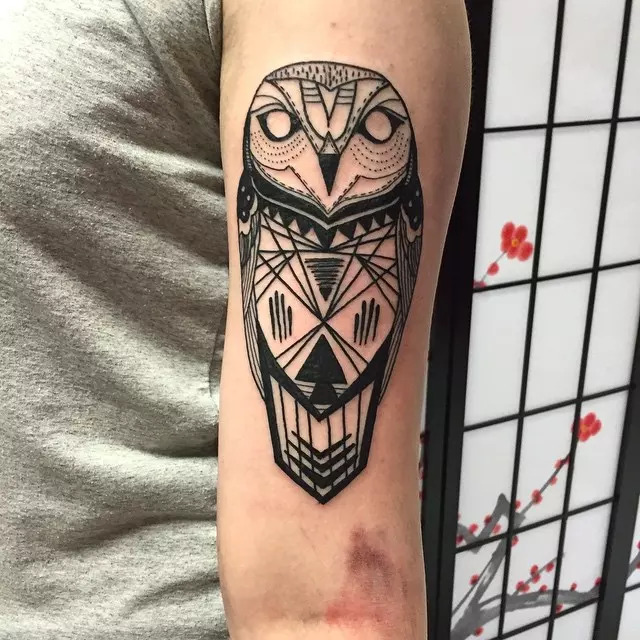 This tattoo has been designed as an animal that has amazing intelligence and wisdom. In other cultures, it is linked to the mystic night creature that is very secretive. 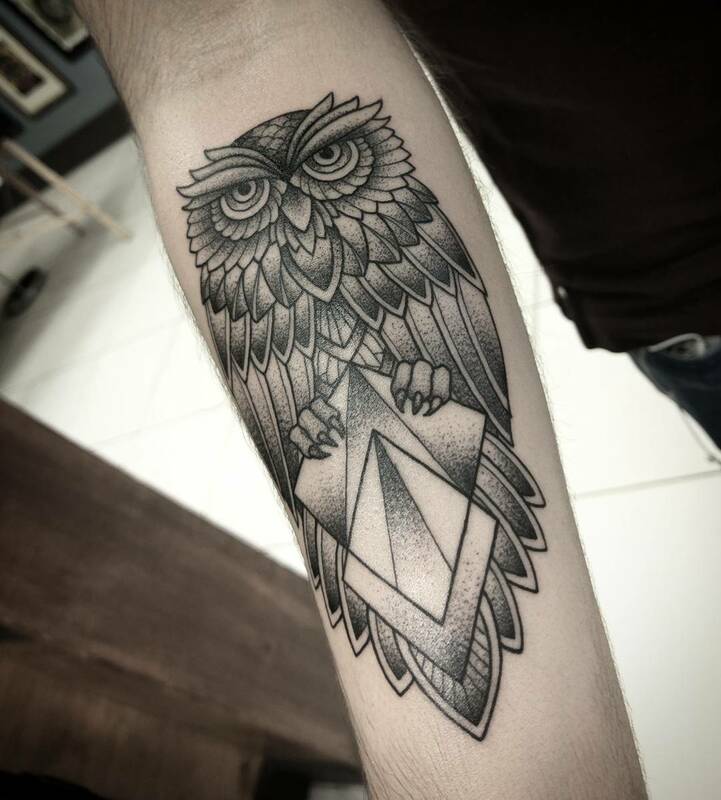 The owl will be used as a geometric symbol and it will have different meanings. There are also other tattoos of specific symbols like the pyramid with the eye of Horus though this is believed to be a symbol that has some dark meaning. Other symbols will be used by lovers as a way of expressing their attraction and affection.